Equipping young people for life and service for Jesus Christ. 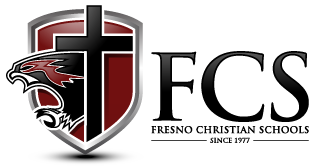 The mission of Fresno Christian Schools is to equip young people for life and service for Jesus Christ through biblical foundations, Christ-like character development, and academic preparation in partnership with the home and local church. Copyright 2019 Fresno Christian Schools | All Rights Reserved.